When Does Ski Season Start in Quebec? When Does Ski Season End? 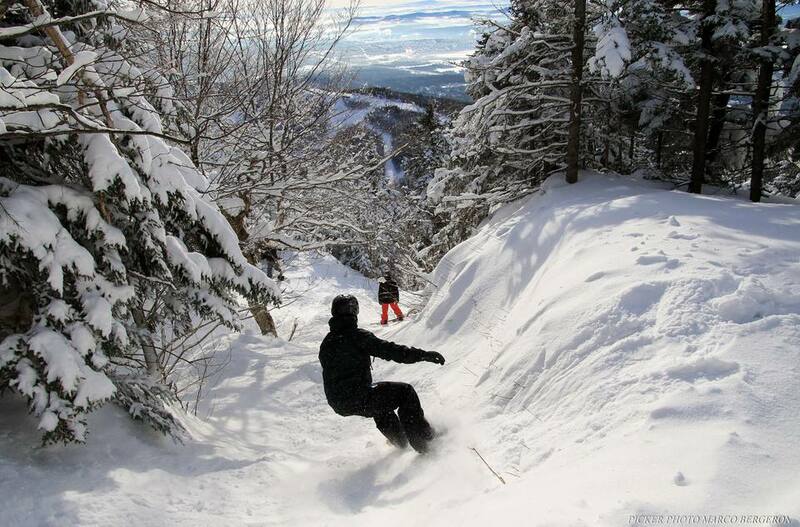 Quebec's annual ski season tends to run from mid-December through mid-April. But it varies every year because it's -you guessed it- contingent on snowfall and temperatures. Most resorts produce man-made snow so they don't necessarily require natural snow, but even manmade snow needs temperatures that prevent it from melting off the mountain. Obviously. Depending on how soon cold snaps hit the region, Quebec's larger ski resorts may open as early as late November. But even then, most trails are off-limits until the third week of December. So while you might have access to a handful of trails early or late in the season, stable temperatures at or below 0°C (32°F) supplemented by natural snowfall are required for resorts to have 100% of their trails in operation. Quebec ski season usually comes to a close by mid-April, weather permitting. But ski stations have been known to close in March or milk the snow well into May if they can get away with it! So. Should you plan a ski outing today? Tomorrow? Are your favorite slopes open? Closed? Get information on current downhill ski conditions across the province of Quebec and check out cross-country ski trail conditions in Montreal before heading out. And keep reading for a breakdown by month of alpine ski conditions you can generally expect each winter month in Quebec. Skiing in Quebec in November? It's been known to happen. But don't expect more than a few runs open, if any are open at all. It's still too early in the season for sufficient snowfall to have covered the trails. Barring freak warm spells, by the last week of December, Quebec ski hills are fully operational, with tourists and locals making the most of their holiday season on the slopes. Count on long lineups and a lot of open trails courtesy of the holiday season. But the first weeks of December are usually much quieter if hills are operating at all. And watch out for hidden ice patches. They can be de rigueur on Quebec slopes starting about now, one of my frustrations with early season skiing. Quebec ski season in January is a go. It's almost always a go. The one issue to consider is temperature. It's the coldest month of the year in these parts. Daily highs below -20°C (-4°F) are a very real possibility. Snow is generally granular and firm, with ski condition hard and fast. Plan accordingly. Bone-chilling cold spells are still in the realm of the probable in Quebec come February. One of my favorite months to hit the slopes. As temperatures gradually heat up in the second half of March (no guarantees though), the snow becomes heavier and wetter, producing a velvety, oh so carvable white canvas on sunny days, ideal conditions to give those tougher trails a go and improve your game. Fun, fun times are to be had on Quebec's ski hills in April, your best chance of the year for skiing in shorts. Don't hold your breath on this one. And most definitely do not plan a ski trip in Quebec in May unless it's a last-second thing and you know for a fact that the province is in the throes of a freak snowstorm and that resorts are squeezing it for what its worth. European Alps, these slopes are not.